What is your 2019 resolution? Some people say, read 2 books a month, enrol this University, get a low degree, polish up English abilities and so forth. I love to read books. So try to read as much as I can in 2019. One of my friends in the share house also likes reading books. Surprisingly we've read exactly the same book. 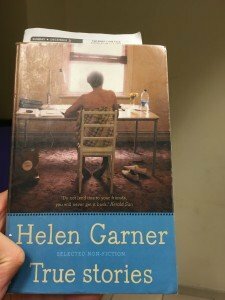 The author is Halen Garner, she wrote non-fiction. She is an Australian author. She said "You notice that your contraception span is getting longer, longer than you ever thought it could become." Her words motivate me to study hard and smart. As my friend obsessed with it, that was one of the most splendid books I declare here.